This day is observed as Martyr’s day in the memory of the great heroes Bhagat Singh, Rajguru and Sukhdev who fought for India’s freedom and sacrificed their lives defending the sovereignty of the nation. To salute the martyrdom of these freedom fighters, entire JIMS fraternity, the students and staff came together and organized an event Shaheed-The Martyrs of the Nation. 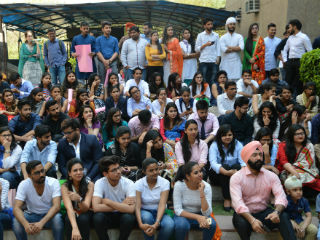 The cultural club of PGDM , JIMS Rohini organized an event “ Shaheed’ to salute the spirit of martyrdom on 23rd March 2018. 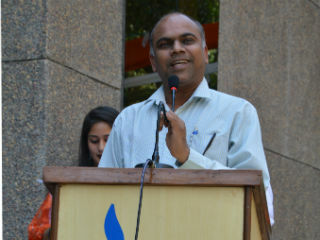 The celebrations began with the Director’s speech who bestowed a sense of enthusiasm and zeal among the students . 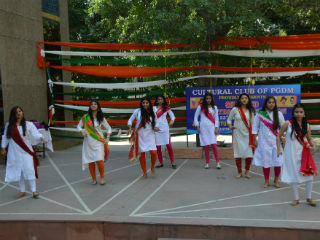 A group dance competition was also the part of the event wherein two teams presented beautiful dance on patriotic songs. The main attraction of the event was the skit dedicated to the life of three martyrs and what their Dream India would be like. The building echoed with sounds of applause and praise ; it actually brought the past stand like mirror in front of all of us. 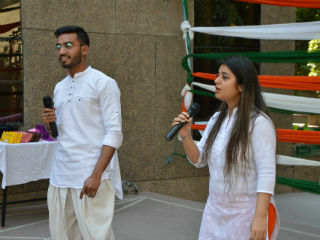 The play was accompanied by the Cultural Club Convener Prof. N P Singh’s self-composed song dedicated to the land of India. This was followed by words of encouragement by Dr. S C Kapoor who addressed the students and motivated them for their dedication and determination for their motherland. The last surprise was the declaration of the best patriotic feel male and female where students in ethnic participated on the spot and presented various poems, dance and other talents showing patriotic feel on this occasion. The event ended with a contest among audience for “ best patriotic feel “ contest was based on the two parameters – ethnic dress up and talent related to our country .